It is important to the people who live in our care homes that they remain to be part of the local community. That’s why our wonderful staff work with residents to build a programme of activities and events suited to their interests. 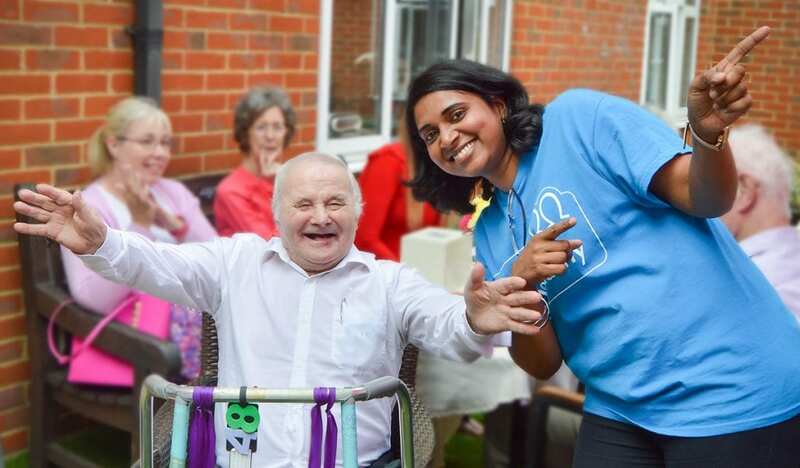 Residents at our Bernard Sunley care home in Woking, Surrey, recently enjoyed a garden party. They were joined by clients from our day care and befriending services in the area, run by our sister organisation Triangle Community Services. Guests included family and friends, as well as people from the local area. Everyone had a wonderful day, with delicious food served from the BBQ, a variety of games and a jumble sale. The afternoon ended with live music, which had everybody singing and dancing along. We would like to extend a special thank you to the team of volunteers who gave up their time to make sure the event ran smoothly.